Idaho Champion Gold Mines Canada Inc. (CSE: ITKO) is pleased to report assay results on hole 16 from the Company’s exploration program at the Baner Project in Idaho. Hole 16 continues to extend the Baner Project in strike length. Drill hole selection at Baner was two-fold; utilizing the Baner database (historical reports, soil, rock, geophysical and mapping) along with current drill observations & results to plan out successive drill hole locations. Drill holes 11 to 16 were important drill holes is understanding the location and nature of the Orogrande shear zone (“OSZ”) as it occurs on the Baner property. As the Baner drill program has progressed, the Idaho Champion geologic team has improved their understanding of the OSZ. The Baner Project is located within the Orogrande shear zone (OSZ), a 30-kilometre-long and up to 3-kilometre-wide regional shear zone located in Central Idaho. The Baner Claim block covers a series of parallel shear zones on the eastern margin of the OSZ. Significant oxidation and mineralization associated with the OSZ consists of quartz, sericite, & fine-grained pyrite. Mineralization includes disseminated low-grade precious metal mineralization in associated stockwork veins, hydraulic breccias; Plus, high-grade gold associated with discreet structurally controlled quartz veins. The Baner Project is in the central Idaho Gold Belt, 8 km south of the of Elk City, Idaho. Elk City is an historic gold mining region dating back to the 1860s and once supported more than 20 underground mines and extensive placer operations. During the 1930s there were three cyanide mills along the Crooked River processing open pit and underground sulfide ore. Exploration in the district during the 1980s and 1990s included Cypress-Amax, Kinross Gold, Bema Gold and focused primarily on near-surface bulk-tonnage gold potential targeting a Fort Knox type occurrence. Premium Exploration conducted extensive drilling, soil sampling, and airborne and surface geophysics around 2010. Currently a Finnish gold producer, Endomines AB is developing the Friday Gold Project at Orogrande into an underground gold operation. Quality Assurance/Quality Control consists of the regular insertion of duplicates, blanks and certified reference standards into the sample stream. Check samples will be submitted to an umpire laboratory at the end of the drilling program. Samples are kept in a secure facility and transferred to American Analytical Services, Inc. in Osburn, Idaho in sealed containers on a weekly basis from the drill site by Company contractors. Personnel handling core are using Company-approved protocols for all phases of core logging, sample delineation, sample layout, core cutting and storage. American Analytical Services, Inc. is ISO 17025 certified. American Analytical Services, Inc. has a standard operating procedure (SOP) for all aspects of sample drop off, drying and preparation, digestion, instrument analysis, quality control assurance and computerized data reporting. Gold assays are determined by Fire Assay with a gravimetric finish using a 30-gram aliquot (1 Assay Ton). The detection limit for gold by FA/Grav is 0.10 g/t (100 ppb). Idaho Champion, as a part of the QA/QC protocol, inserts a pre-pulverised 50g certified standard ranging into the sample stream at a rate of 1 standard every 20 samples. In addition, a certified blank is inserted into the sample stream at a rate of 1 blank per 40 samples. Assays are directly imported electronically from the American Analytical Services, Inc. certificate into Geosoft MX Deposit where QA/QC data are monitored for pass/fail. The technical information in this press release has been reviewed and approved by Peter Karelse P.Geo., a consultant to the Company, who is a Qualified Person as defined by NI 43-101. Mr. Karelse has more than 30 years of experience in exploration and development. Field work at the Baner project site was supervised by Jim Baughman P.Geo. 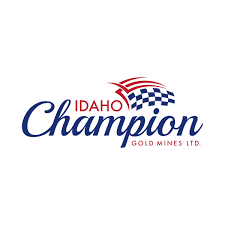 Idaho Champion is a discovery-focused gold exploration company that is committed to advancing its 100% owned highly prospective mineral properties located in Idaho, United States. The Company’s shares trade on the CSE under the trading symbol “ITKO”. Idaho Champion is vested in Idaho with the Baner Project in Idaho County, the Champagne Project located in Butte County near Arco, and four cobalt properties in Lemhi County in the Idaho Cobalt Belt. Idaho Champion strives to be a responsible environmental steward, stakeholder and a contributing citizen to the local communities where we operate. Idaho Champion takes our social license seriously and employ local community members and services in our operations.